15 Creative Showers and Unusual Shower Head Designs. 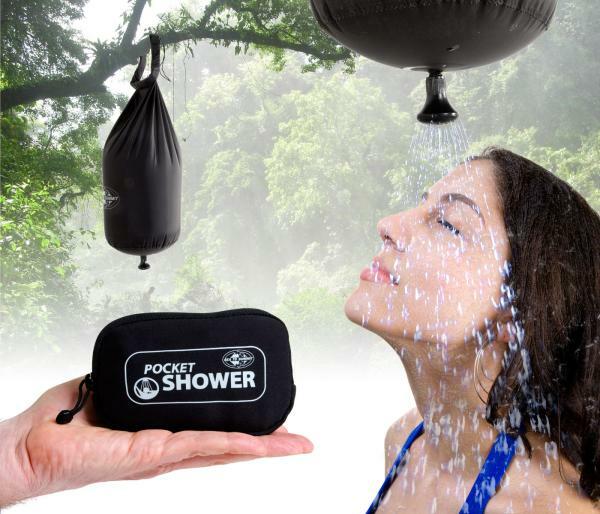 Creative showers and unusual shower head designs from all over the world. Musical Shower: With this musical shower, one can listen to tunes in the shower. 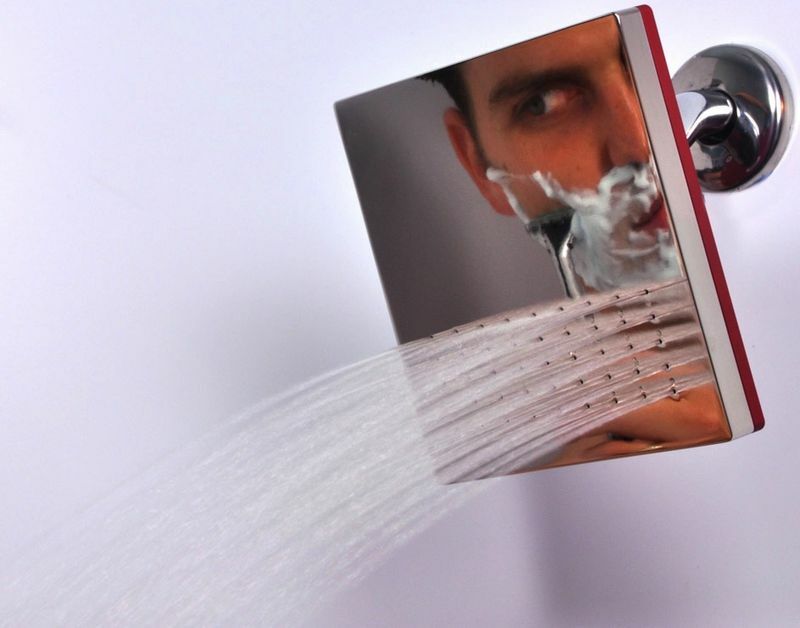 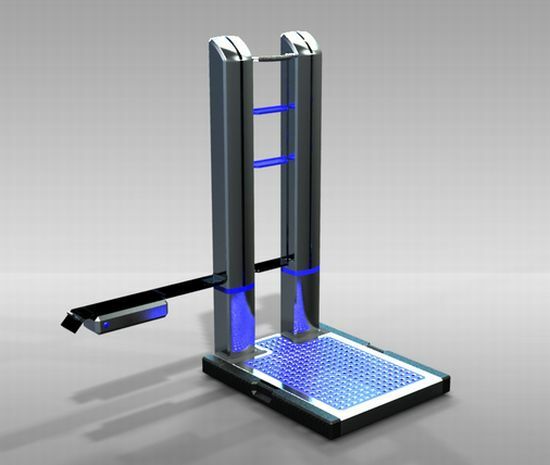 Folding Shower: It's a ingenious folding shower design by French company Supiot. 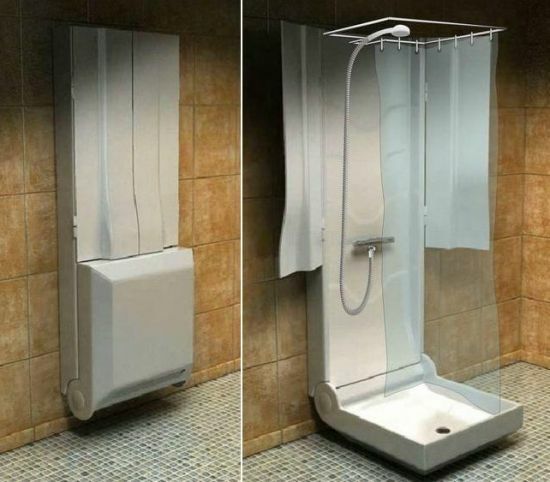 It folds to add extra space to the bathroom. 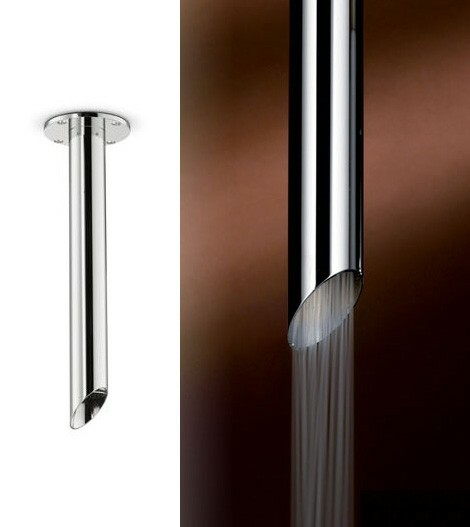 Vado Shower Head: Best thing about this sculpture shower heads is that it lets you twist, twirl, turn and adjusts them into any required position. 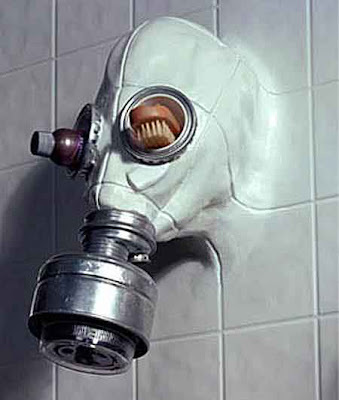 Jet Shower Head: It's a jet shower head from Newform with a surprisingly industrial form that comes down from the ceiling like a shiny pipe. Dual Head Shower: It's a shower head with handheld combo by Alsons; this two-in-one shower features an integral three-way diverter that lets you use the hand-held shower, the extra-wide shower head, or use both at the same time. 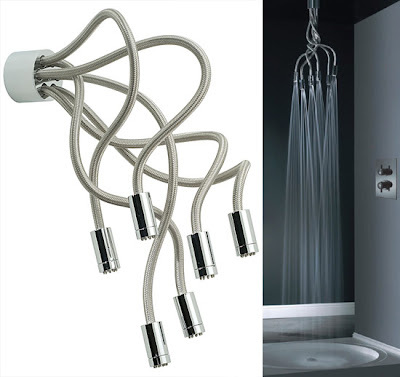 Toauh Shower: This shower system can be fitted into any shower; the water used in the shower is collected in the main base and the same can be filled into the containers by pulling down the lever. The water is then displaced to the container that provides water to the toilet. 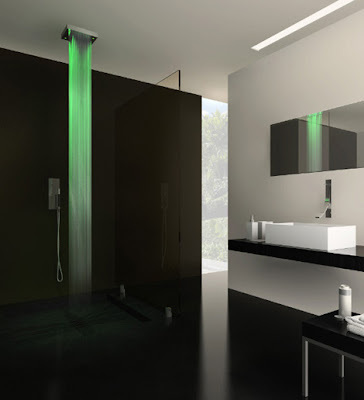 And the extra water can be used for other activities like floor cleaning, car washing etc. Shower by Chris Dimino: Chris Dimino created this unusual shower head. Pipe Shower: A cool floor fixable industrial style shower design from Boffi. 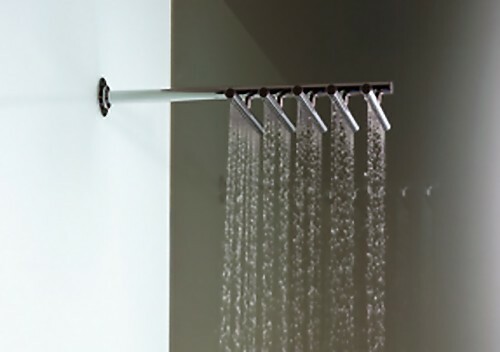 Vola 50 Shower Head: Designed by Teit Weylandt, this shower head features 5 parallel heads arranged horizontally, each consisting of 15 nozzles. Drops Lighted Shower: It's a beautiful mix of design and functionality, where a beam of light highlights each shimmering droplet of water as a shower of refreshing water that cascades down. Geo 180 Shower: It's a modern tub designed by Kos of Italy. 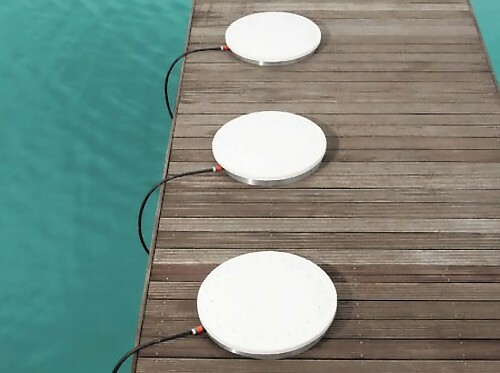 Viteo Outdoors Inverted Shower: Designed by D Venlet, the shower sits on the ground and the water goes up 4 meters in the air. 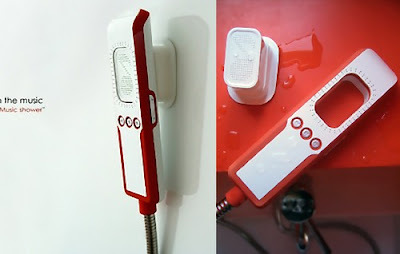 To activate the water stream you need to step on a little button in the middle of the unit. 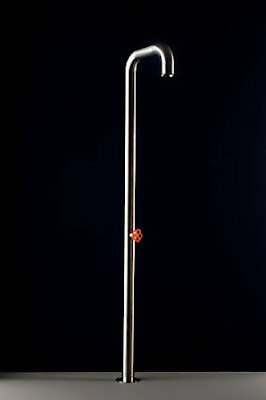 Graphite Sculptures by Agelio Batle. 15 Creative and Cool Pillow Designs - Part 5.